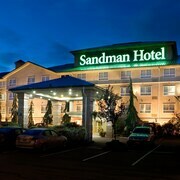 We had a wedding to attend in Langley and this hotel was close to Langley, Abbotsford and surrounding area. 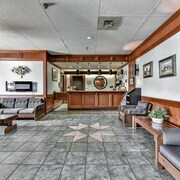 Where to find Langley hotels near an airport? 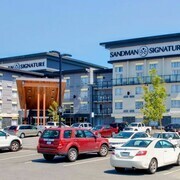 Where can I find hotels in Langley that are near tourist attractions? 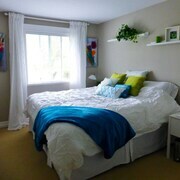 Travelers to Vancouver who are after hotels and apartments in and around Langley have many options from which to choose. Just a short drive from Langley's town center are 15 Expedia-listed places to stay. 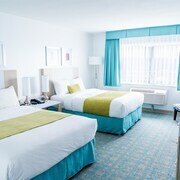 Visitors looking to stay centrally in Langley, can check out the rates and amenities at the Coast Hotel & Convention Centre Langley City and Days Inn & Suites Langley. If you are chasing economical hotels, you might like to try the Super 8 Langley/Aldergrove, Langley Hwy Hotel and Travelodge Langley City. 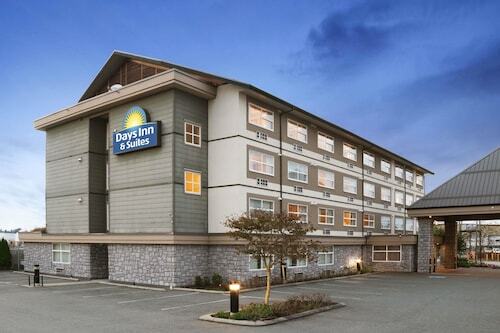 The Poco Inn and Suites Hotel & Conference Centre is 19 kilometres (12 miles) away from downtown Langley. Another alternative is the Inn at the Quay, which is positioned 20 kilometres (13 miles) away. 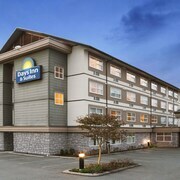 Other hotel options around Langley are the Best Western Plus Coquitlam Inn Convention Centre and the Ocean Promenade Hotel. Once you have explored Langley, why not tour a little more of the region? The Vancouver Coast vicinity has many attractions waiting to be explored. Spend time at Vancouver Coast's old towns, fortresses and art museums and also admire the region's forests, rivers and streams. In this section of Canada tourists can try their hand at snowboarding and skiing. Chinatown is 40 kilometres (23 miles) to the northwest of Langley and is where you'll find Chinese Cultural Centre Museum and Archive and Carnegie Centre. Some of our recommended Chinatown hotels and accommodations include the Fairmont Pacific Rim and Shangri-La Hotel, Vancouver. 40 kilometres (25 miles) to the northwest of Langley, is Downtown Vancouver, home to the The Residences on Georgia by Vancouver Extended Stay and Rosewood Hotel Georgia. Regardless of whether you're passing through or spending a few nights in Downtown Vancouver, make sure you visit the Pacific Mineral Museum and BC Sports Hall of Fame & Museum. If you like sports and really like games you might choose to head to BC Place Stadium, which is 40 kilometres (24 miles) to the northwest of Langley. 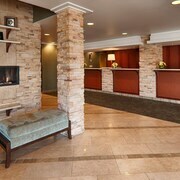 Stay near the action at the The Fairmont Waterfront or the Loden Hotel. 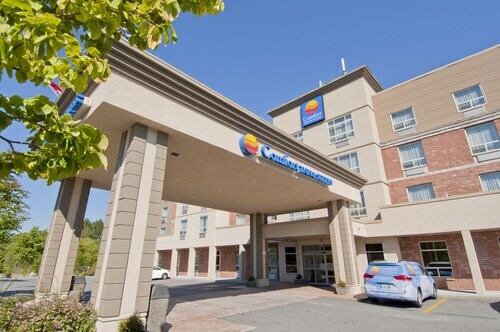 For travelers planning on arriving through Abbotsford International Airport, you may choose to book a bed at Abbotsford Hotel, or Brookside Inn, both of which are a short distance away. What are the most popular Langley hotels? Modern, Beautifully Decorated 4 Bedroom Home With Media Room! Are there hotels in other cities near Langley? 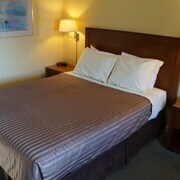 What other types of accommodations are available in Langley? Explore Langley with Expedia.ca’s Travel Guides to find the best flights, cars, holiday packages and more!